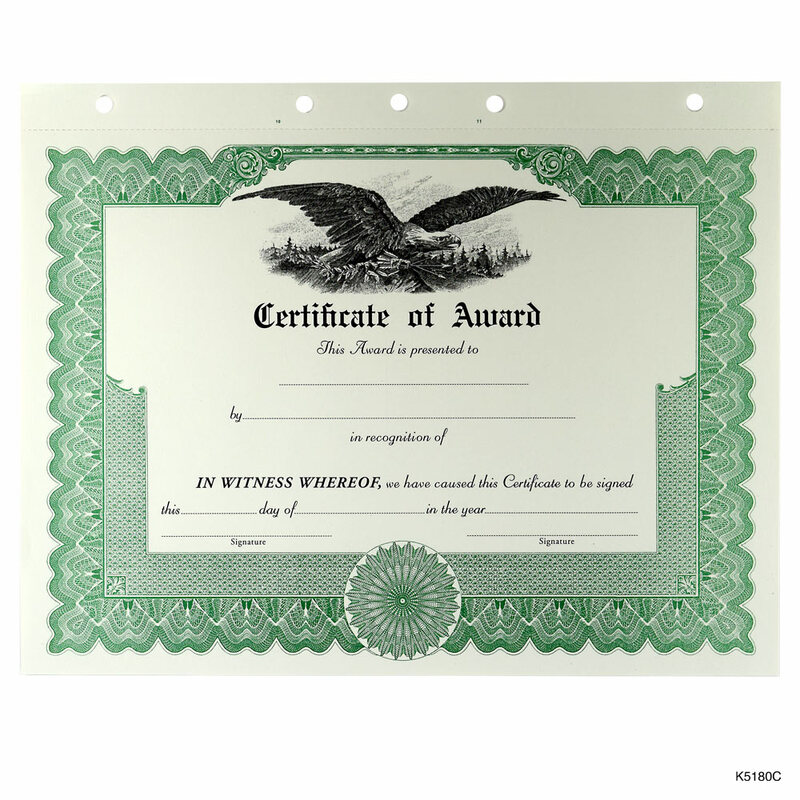 Create your own customized certificates on your laser printer. 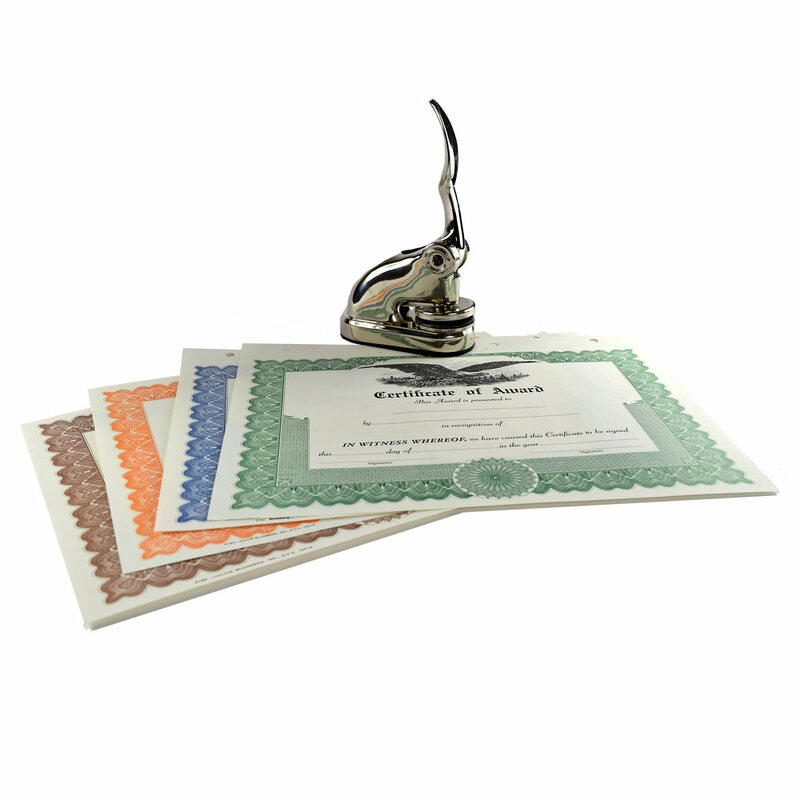 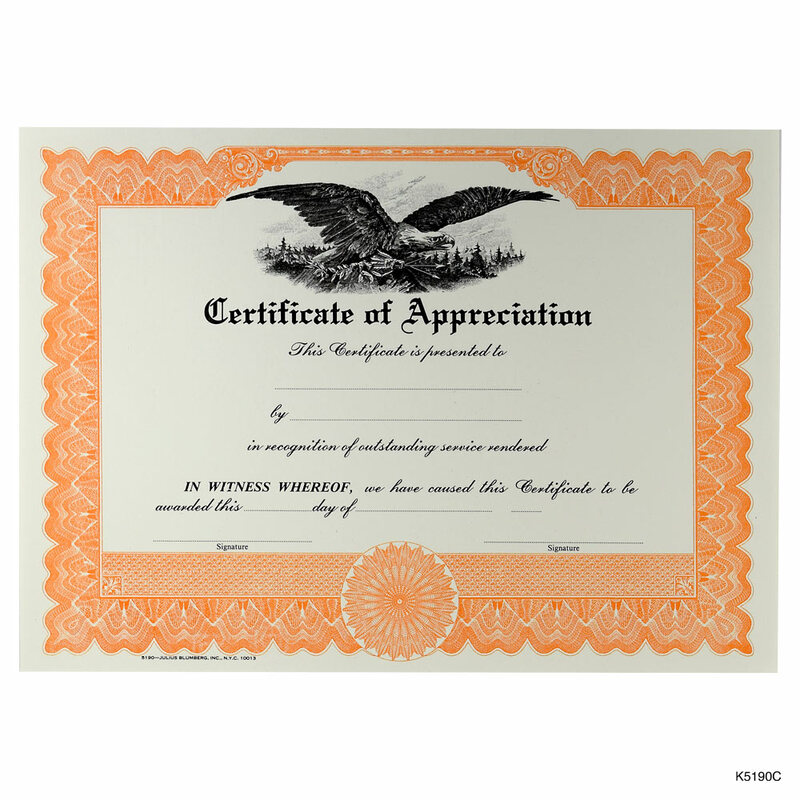 Quality, professional certificates can be used to create employee recognition certificates. 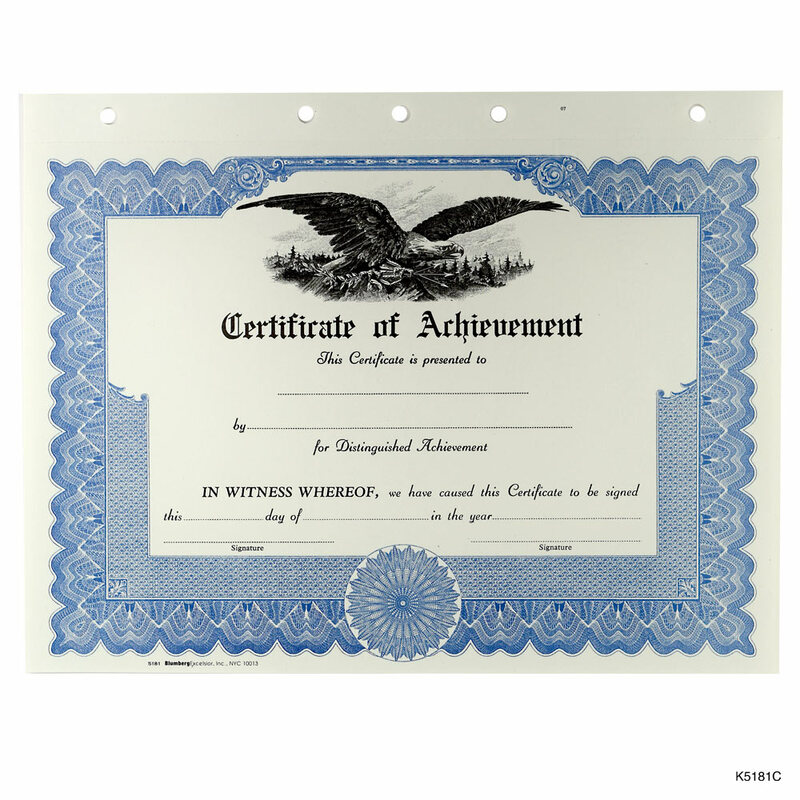 These blank sheets come in a variety of colors and can easily be set up in your word processing program to print personalized certificates. 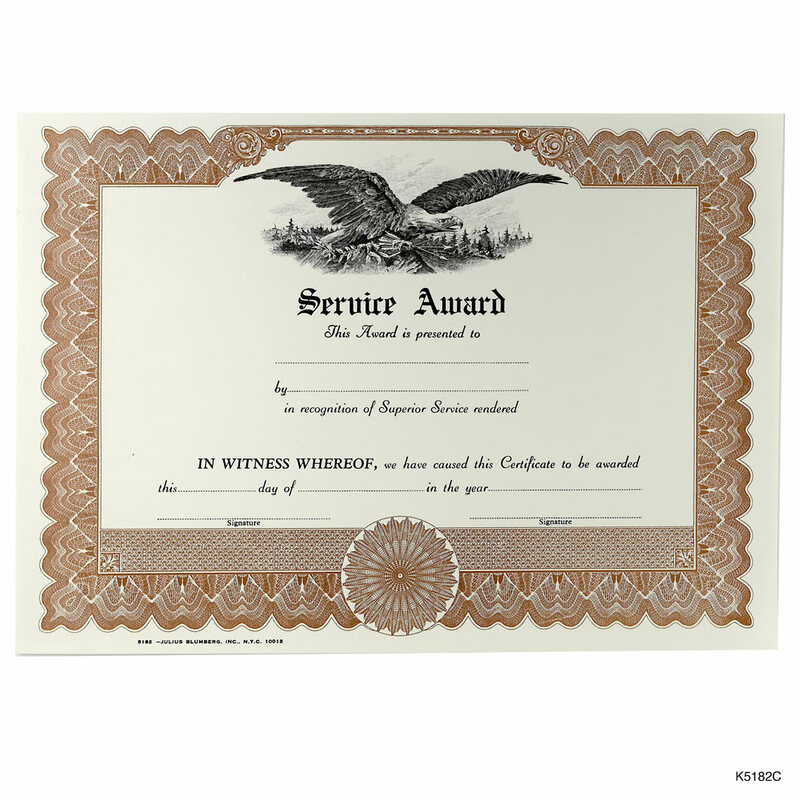 FREE SHIPPING on all certificate orders $75 or more to the contiguous 48 states.